Before your site can send any emails - receipts, admin notifications, contact requests, etc - you must give the software your SMTP information. 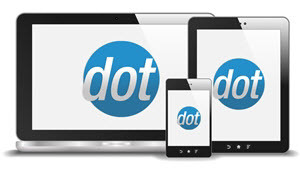 This info is usually obtained from your host, though some hosts do not provide email services. In that case, you can use your business ISP's mail services, Google's mail service, etc. 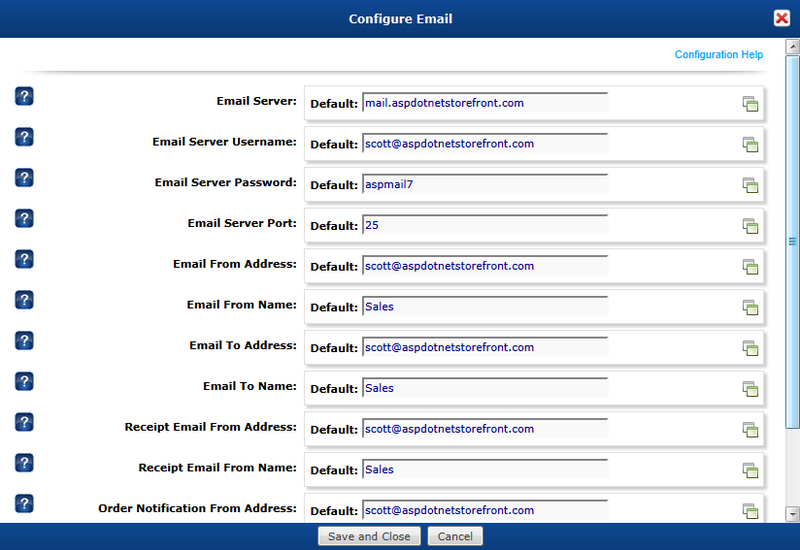 Go to the Site Configuration Wizard page and click the 'Configure Email' link. This page lets you set up and test your email settings to verify that everything is working properly for your outgoing emails. Enter the necessary values and click the test button, and the store will attempt to send outgoing mail. If everything goes well you'll see a message indicating success. If there is a problem, the store will attempt to display any error messages returned by the mail server. NOTE: If you receive an error message from the mail server, you will need to contact whoever maintains that mail server for assistance with correcting your email settings. AspDotNetStorefront cannot advise you on what to change. 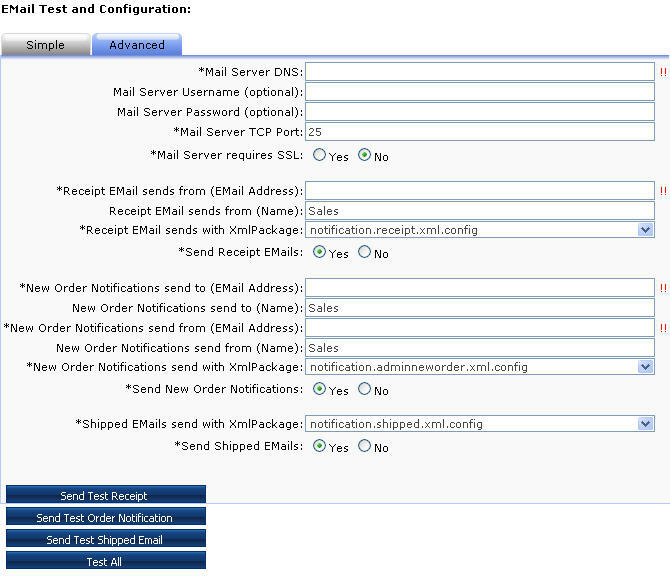 On the Simple tab, simply fill in the few values listed and click 'Send Test' and the software will try to send 3 emails - a receipt, an admin notification, and a shipping notification (the test Receipt and Shipping Notifications are sent to the email address of the currently logged in Admin user account that is performing the Tests). The software will use the default values for all settings except the ones you specify. NOTE: Clicking 'Send Test' saves the entered values to the storefront AppConfigs. 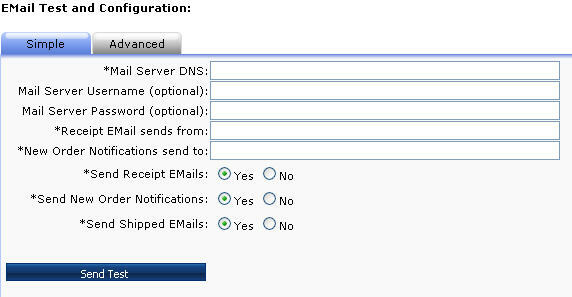 On the Advanced tab, you can test each of the 3 emails separately, and use different values for each if desired. NOTE: Clicking 'Send Test' saves the entered values to the storefront AppConfigs (see below). The best way to troubleshoot email issues is to pull up a test order on the Order page and click the "Resend Receipt Email" button. The software will attempt to send that email, and display any errors encountered on the screen. This will often give an indication of where the issue is. Note: ASPDNSF cannot determine if these are necessary for you or provide any assistance with setting them up. Contact your host/IT department for assist with this.